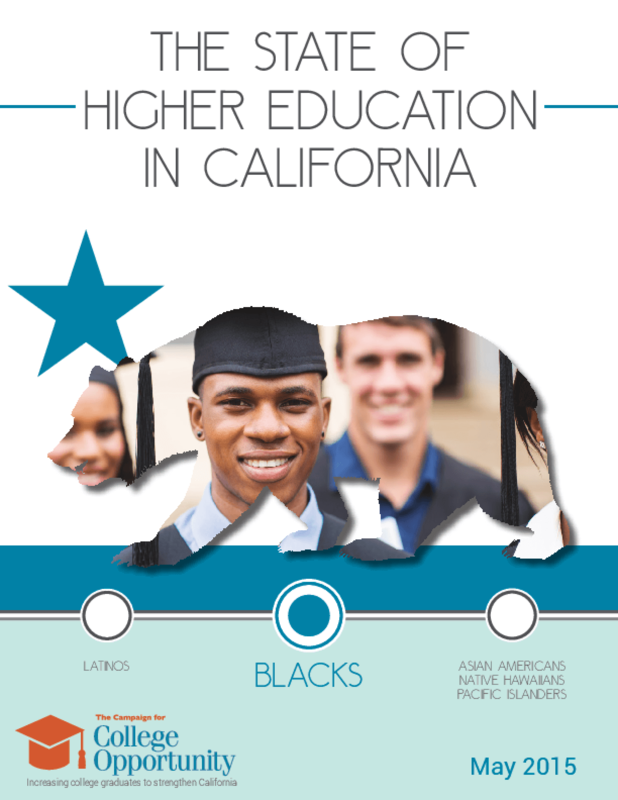 This report examines how the California's 2.16 million Black residents (6 percent of total population) are faring in higher education attainment compared with other racial/ethnic groups. While Black Californians have improved their education outcomes over the last couple of decades, they still experience significant opporunity gaps. The report calls for a concerted, strategic effort to produce better educational outcomes for Black students including a new statewide plan for California higher education, a redesign of pre-college level courses, re-enrollment of adults with some college but no degree, and allowing public universities to use race/ethnicity as one of many considerations in their admissions process. Copyright 2015 Campaign for College Opportunity.